While Kim Sanderhoff and Johan Bender were exchange students at Univeristy of Southern California, they noticed that a lot of students used bikes on US campuses and thought about the idea of using specially designed bikes as a new and sleek form of advertising, and FreeBike Project was born. The vision behind FreeBike Project is creating a win-win relationship between students, advertisers and charities. Today advertisers spend millions of dollars reaching the 18-24 year old demographic, and sadly most of the campaigns are similar, not cost effective and does not contribute to be a meaningful part of the student community. A FreeBike is like using your own bike. The student will have full access to the bike and can ride around as they please. Using the bike is free of charge as long as the bike is eventually returned. As part of the agreement between the student and the advertiser, the student uploads fun photos on their social media posing with the bikes. This spreads the word of the advertiser’s message and that they support free means of transportation. Finally part of the advertising revenue from the campaigns are used to recycle old bicycles and send them overseas to developing communities. 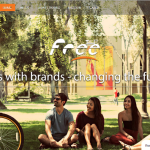 The core team of FreeBike Project consists on four previous USC students 2 from America and 2 from Denmark: Scott Ferreira who is the CEO, Lloyd Jones who is head of Finance, Kim Sanderhoff who is the COO and Johan Bender who is leading Sales and Business Development. 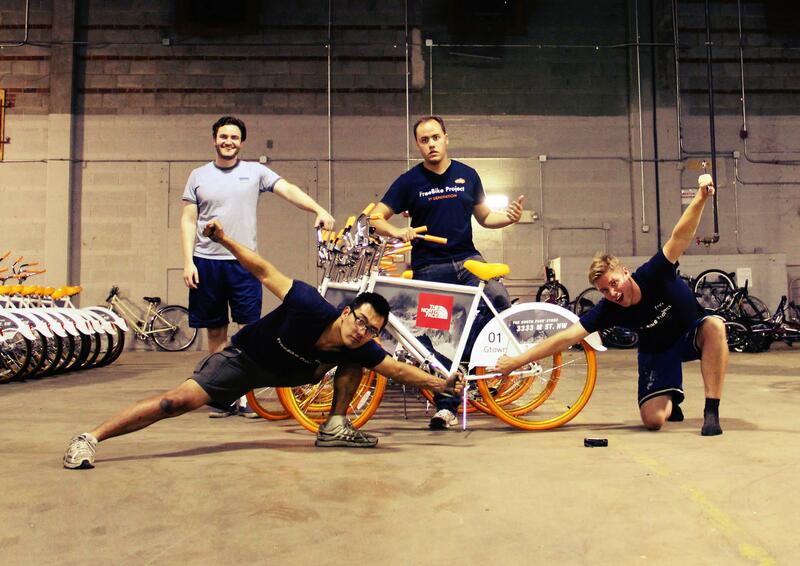 Per February 2013, FreeBike Project has launched in LA, Phoenix, SF, Seattle, Chicago, Boston and DC, and covers the following campuses – University of Southern California, UCLA, ASU, Stanford, Berkeley, UW, Northwestern, DePaul, Harvard, MIT, Boston University, Boston College, George Washington University, Georgetown University and Howard University, just to name a few. Johan Bender and Kim Sanderhoff are part of this year’s prestigious Draper University. “Draper University has so far been a fantastic learning experience. Through the course, both Kim Sanderhoff and I have gained valuable insights on the perspective of a VC and learned from incredible entrepreneurs like David Sacks (founder of Yammer) and Trip Hawkins (founder of EA)”, says Johan. We@TTP think that FreeBike Project is quite innovative and serves companies with much needed branding among the college crowd. The philanthropic aspect of the startup is endearing to note, we wish the startup very best!